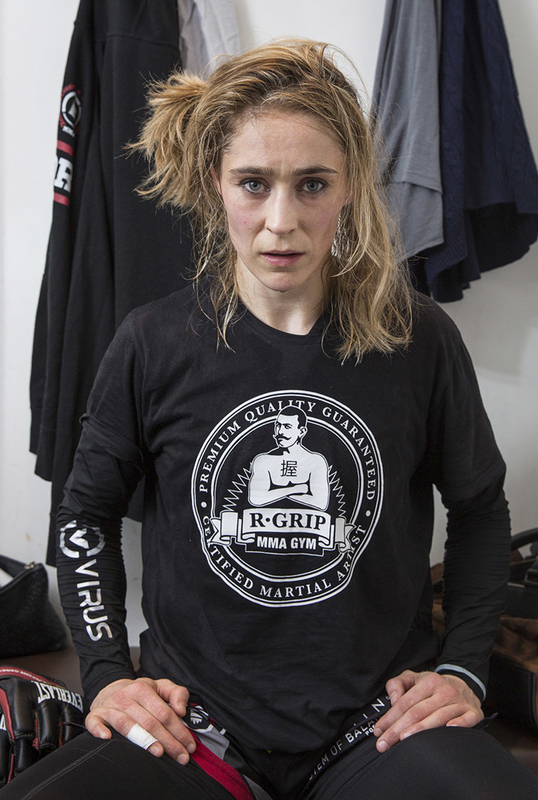 Marloes Coenen (born March 31, 1981) is a retired Dutch mixed martial artist. She has competed professionally since 2000 and is a former Strikeforce Women's Bantamweight Champion. She began training with Martijn de Jong while only 14. Martijn respected the young fighter immediately because "It didn't matter if it rained or snowed. She still kept on coming." She started martial arts training because she had to bicycle alone through a lonely part of the forest to and from school, and she had heard rumours that there were "dirty men in the forest" who preyed on girls. Coenen debuted in mixed martial arts in November 2000 and scored eight consecutive victories, winning the 2000 ReMix World Cup along the way. This was the first female MMA championship making her the first ever female MMA champion. After running through multiple big-name opponents, like Liz Carmouche and Romy Ruysen, picking up the Strikeforce belt along the way, she was defeated by the infamous Cris Cyborg. Where most girls shy away from fighting Cyborg at all (look at the recent withdrawal of Holly Holm from fighting Cyborg at UFC 219 in December), Marloes took a second fight and fought Cyborg again, taking her to the fourth round - an accomplishment in and off itself. She lost by TKO but the legend of Coenen grew even further. In August 2014 Bellator MMA had signed Marloes Coenen and she was determined to get the belt back. Be the champion once more. This is where our documentary begins and where the story of Marloes 'Rumina' Coenen ends.